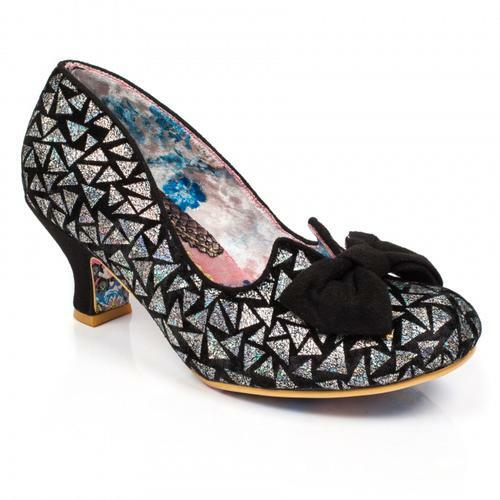 With a name good enough to eat, these Apple Spice heels by Poetic Licence ooze vintage glamour. These lovely heels have a feminine floral upper with a mix of cream, red and pink flowers and the lower half is in a dazzling black glitter that sparkles as it catches the light. 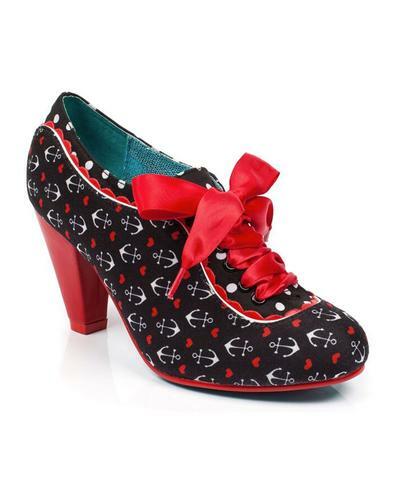 This gorgeous shoe fastens with red laces and has a large double bow embellishment on the toe with a glittery fabric edge that matches the heel and scalloped piping. 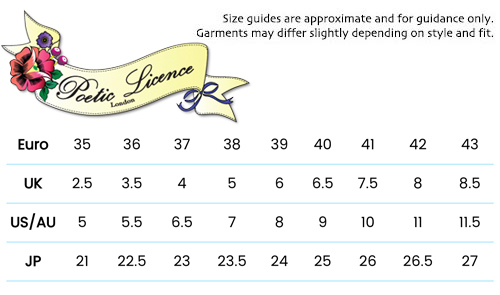 Time to Apple Spice up your vintage wardrobe with these fabulous heels from Poetic Licence. 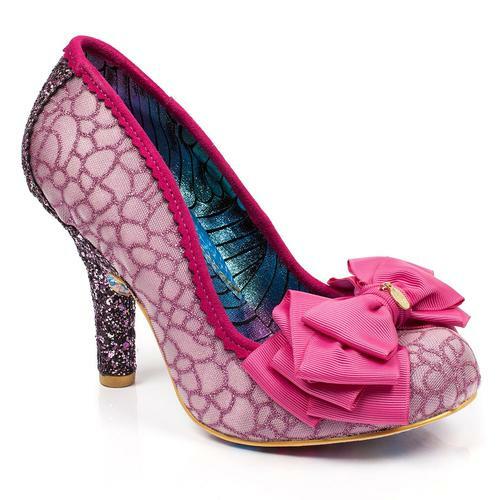 Apple Spice vintage floral and glitter mid-heels from Poetic Licence by Irregular Choice. Floral rose and black glitter upper. Floral and glitter effect double bow on the toe.